Home / Posts Tagged "Value Pack"
Suet Plus 8 Pack Value! August 20, 2012 - Suet Plus 8 Pack Value! 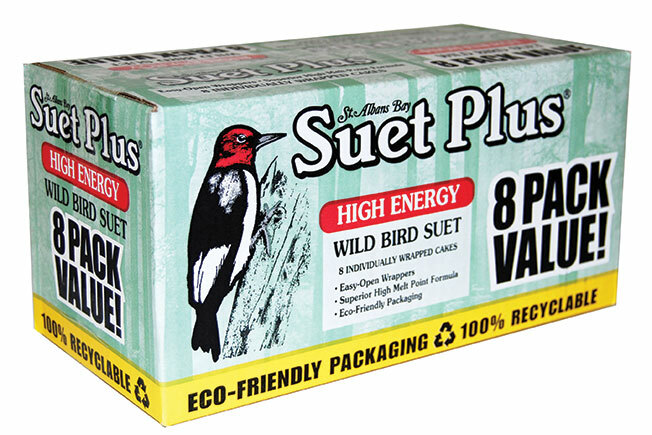 Introducing - Suet Plus 8 Pack Value! Consumers appreciate value and convenience. Our new Suet Plus 8 Pack Value contains 8 Suet Plus cakes in an attractive and convenient 8 pack box. The High Energy blend suet cakes are packaged in our unique candy bar style wrapper for easy-open, no mess handling.